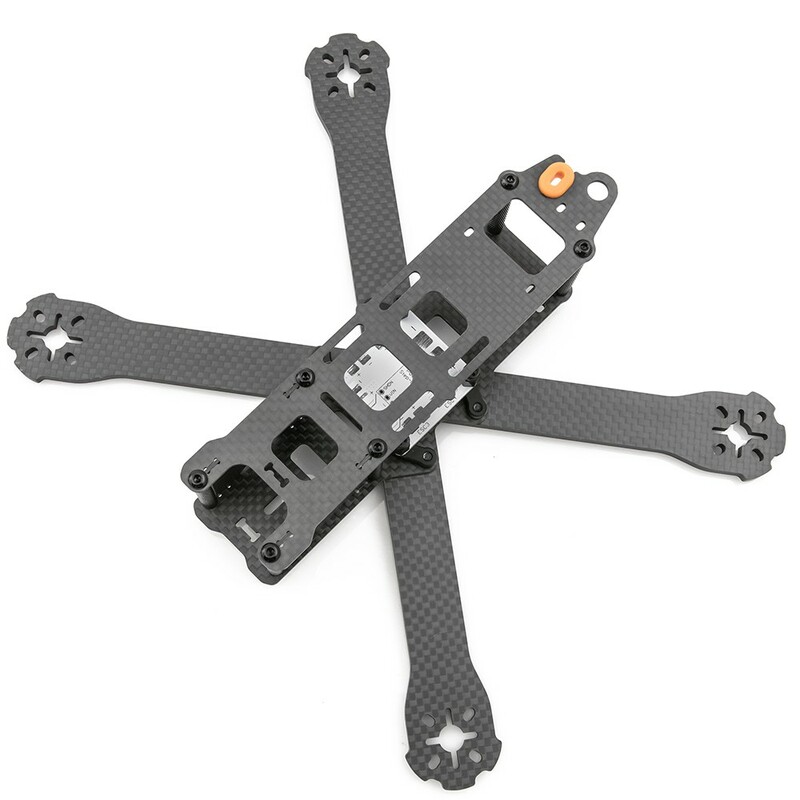 •Airframe: 91g (airframe + hardware), 98g (with PDB). 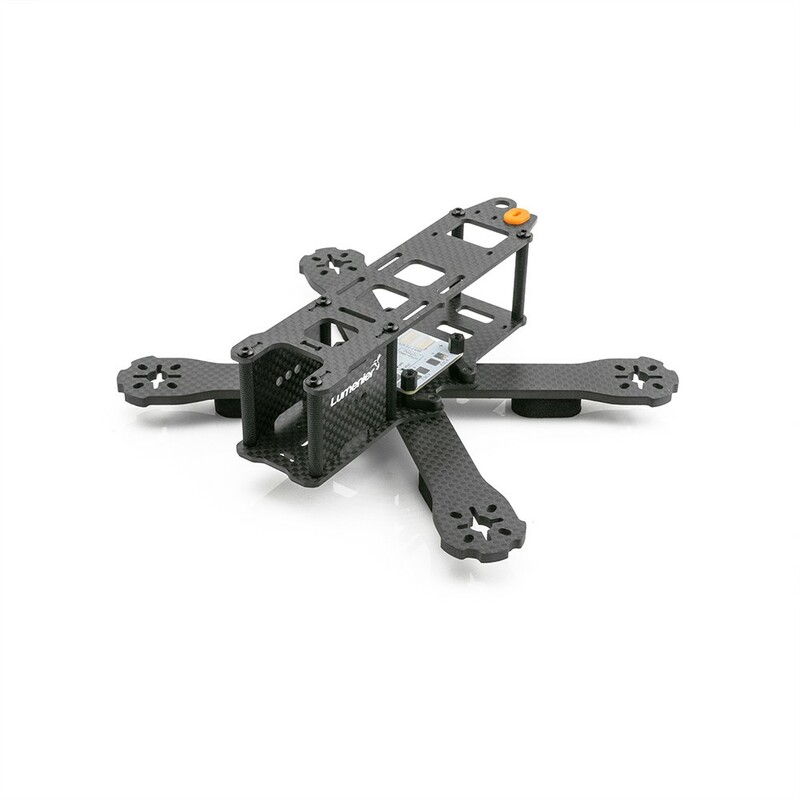 •AUW: The QAV-R RaceBlade FPV Quadcopter is flown with an AUW of ~290g depending on motor choice (includes all flight electronics and FPV gear, but without Lipo or HD camera). 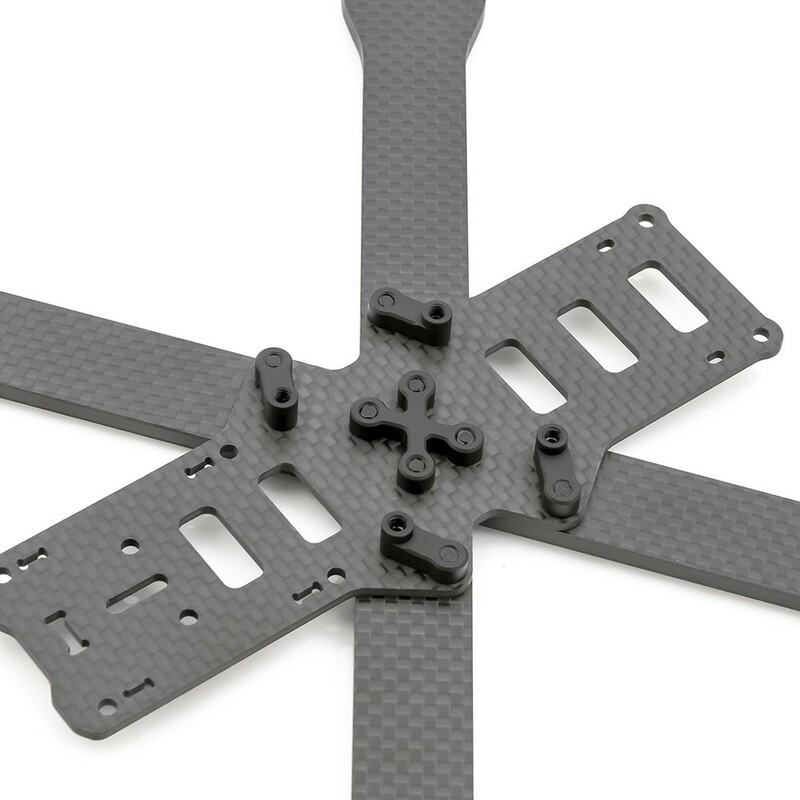 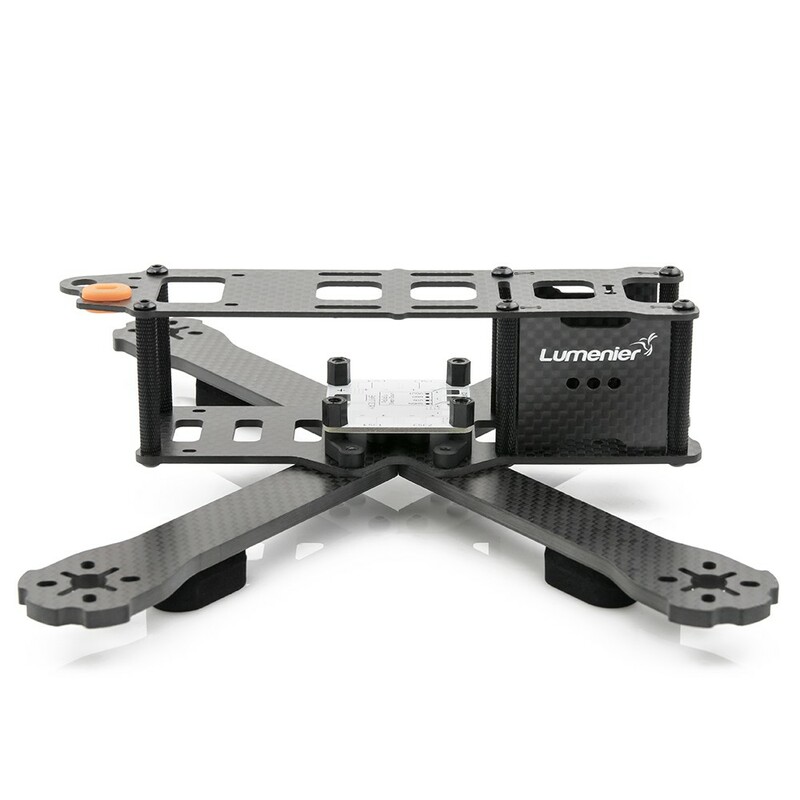 The RaceBlade FPV Quadcopter does not exhibit any vibration in the on-board FPV camera signal. 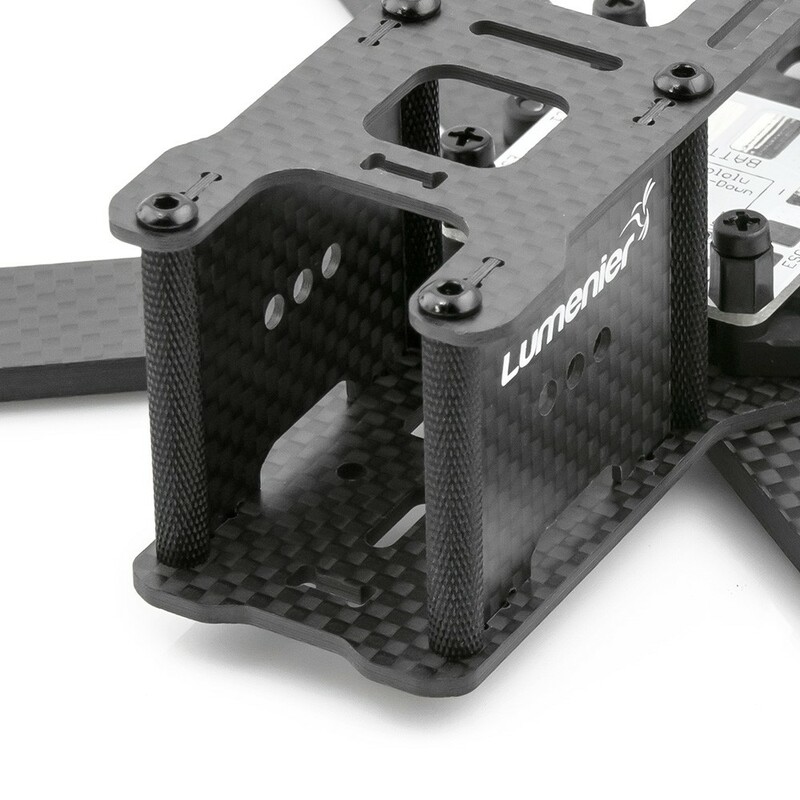 For pilots that wish to equip their airframe with a Mobius, GoPro or GoPro Session, Lumenier offers a vibration isolation camera mounting kit (sold separately).